Technical multi-functional headwear for both stylish and practical use whilst running or exercising. 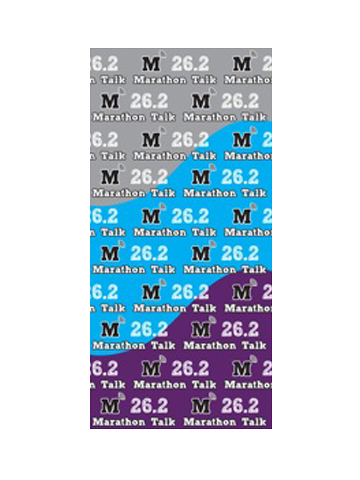 Uniquely branded with Marathon Talk logo and 26.2 motif. 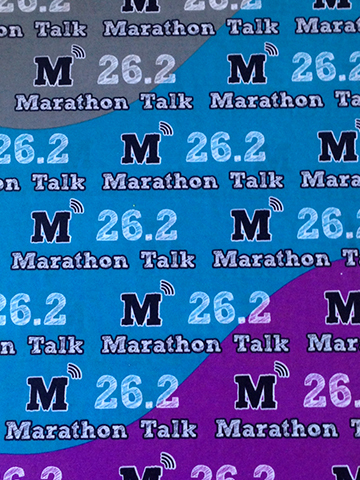 Colours are a combination of grey, blue or mauve, and can be folded so that each different colour is prominent. One size.